"Be honest with me, guys - do you think that we over did the gold a tad?" Tarsem Singh's 2006 film The Fall was a completely brilliant and completely bonkers work that was an act of pure artistic expression on the part of its creator. Filmed in pieces over the better part of a decade in between other commercial projects, it was a real labour of love for Tarsem and that love shone through in its unique and visionary nature, which combined stunning vistas from across the globe with a heartrending story of two broken souls finding solace in a shared fiction. To expect his follow-up, the Greek myth-flavoured Immortals, to have the same kind of personal resonance would be foolhardy since there's no way that a film with so much money behind it could retain even half of the idiosyncratic charm of The Fall. Even so, considering how striking Tarsem's work has been in the past, it's surprising how thoroughly bland the resulting product is. Theseus (Henry Cavill) is a young peasant living an unassuming life in Ancient Greece when the legions of King Hyperion (Mickey Rourke) arrive in his village, slaughter his mother and make him a slave. Hyperion is searching for the Epirus Bow, a legendary weapon that was once wielded by Ares, with which he will be able to release the powerful Titans, who will then allow him conquer the world somehow. Unbeknownst to anyone, Zeus (who takes the form of John Hurt on Earth and Luke Evans on Olympus) has been covertly guiding and training Theseus so that he will be ready to defeat Hyperion's plans. Along with Stavros (Stephen Dorff), a thief and fellow slave, and Phaedra (Frieda Pinto), an oracle whose visions help Theseus in his quest, they head out in search of the bow, all the while trying to stay one step ahead of Hyperion's forces. Visually, Immortals is a great piece of work. 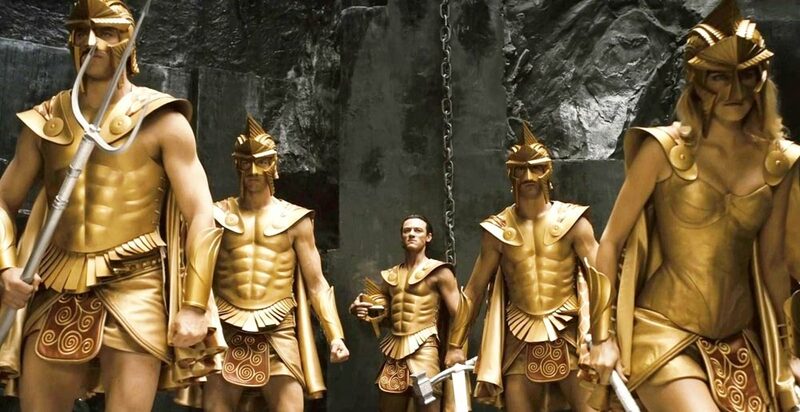 Tarsem brings his customary opulence to the world of Ancient Greece, creating a vision of the past that is both familiar and completely alien. He also has a strong grasp on how to make the film feel epic without losing sight of the smaller details; he is equally adept at conducting fights between two men or two hundred, and the fights have a brutal physicality to them that belies the hyperbolic style. Tarsem has said that he wanted to make the film look like a Renaissance painting, and his use of deep, earthy tones throughout bear that out (though that same palette does cause problems when the colour-dimming effect of the - utterly superfluous - 3D is factored into the equation). However, the story of Immortals is far less interesting than the visuals employed to tell it, and as such it's hard to get engaged in Theseus' story. Drawing elements from the endlessly rich and intriguing realm of Greek mythology, writers Vlas and Charley Parlapanides fashion an aggressively generic "fantasy epic" storyline that is as predictable as it is plodding, hitting every expected character and plot point without any real enthusiasm or wit. There are some interesting details along the way, such as the decision to change the Minotaur from being a half-man, half-bull creature to a man who wears a bull's head mask made of sharpened wire, and the performances are solid throughout, particularly from Mickey Rourke, who is pretty adept at playing unlikable creeps by this point in his career, but they're just so earnest and boring that it is hard to care about any of them or their boring lives. There is something seriously wrong when the most charismatic character in a film is the one played by Stephen Dorff. The fatal problem with the film is that it is so relentlessly solemn that it never allows itself to actually be fun. There are some moments that are funny - particularly a darkly hilarious scene in which a traitor is castrated in a most brutal fashion - and the action scenes are handled with a certain flair, but everything in between is so severely serious. There is some potential for it to be enjoyed as camp - you can only show so much reverence towards a film featuring long stretches in which Luke Evans struts around in little more than shiny gold boxer shorts - but the pacing and oppressive solemnity of the film prevent it from even achieving that minor level of enjoyment. Tarsem set out to create a film that resembled a painting and he has succeeded. 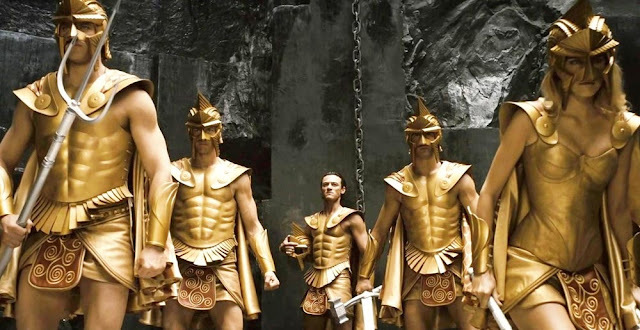 Like a painting, Immortals is inert, a thing of beauty which is itself lifeless, and whilst there are glimmers of the fun fluff that it could have been it fundamentally fails as popcorn entertainment.